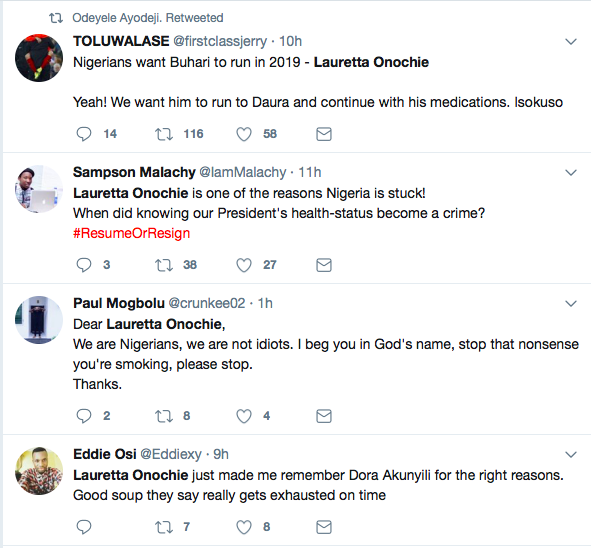 So on Monday, in an interview with Channels TV, President Buhari's Personal Assistant on Social Media, Madam Lauretta Onochie said that Nigerians have not right to demand to know the state of Buhari's health. 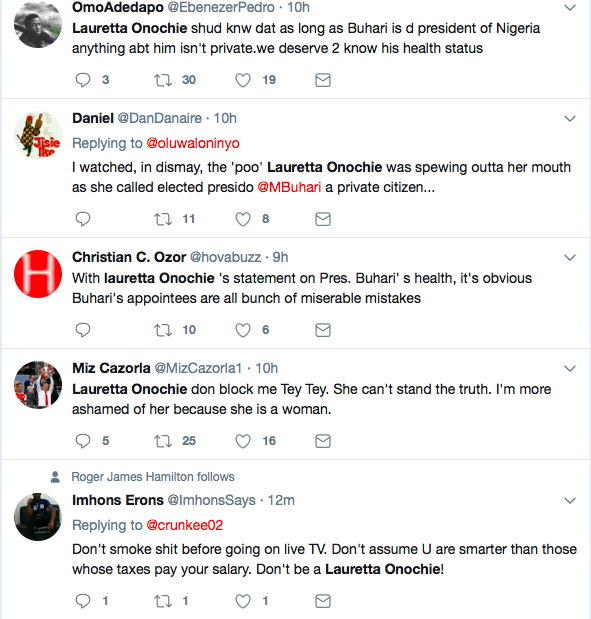 She said the ailing Nigerian president who has been on medical vacation in London for well over 90 days is a private citizen and not a public property hence his privacy should be respected. For the life of me, I have no idea why anybody should disrespect another by asking for the details of their health status. 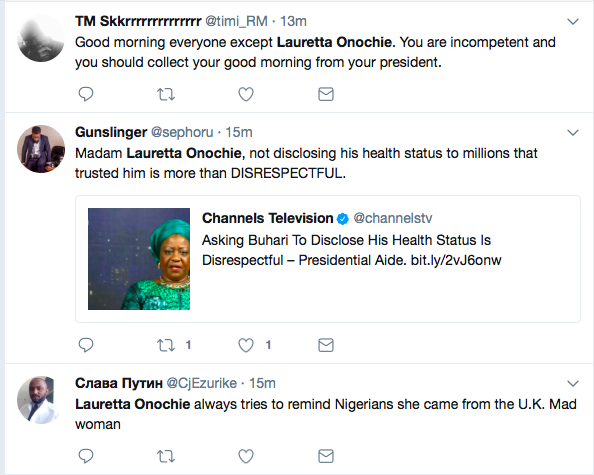 As we speak, we have an acting president. 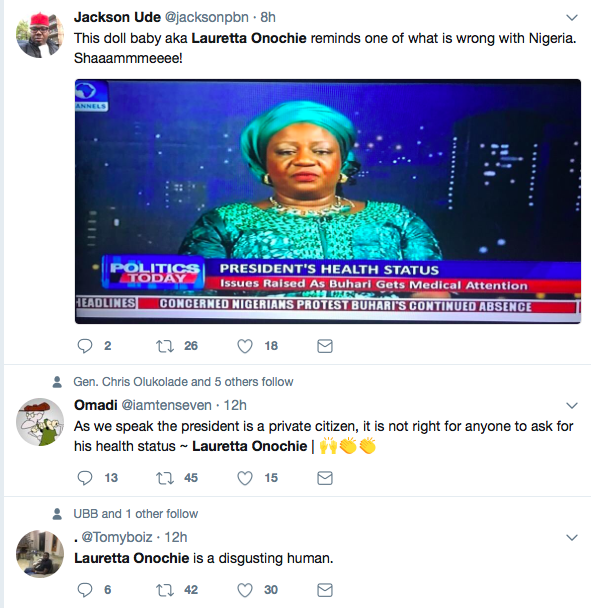 As we speak, President Buhari seems to be like a private citizen at the moment. We have no right and it is very disrespectful for anyone to ask for his health status. In the UK where I came from nobody would release anybody’s health record to another, not even the members of their family unless the person decides to approve. 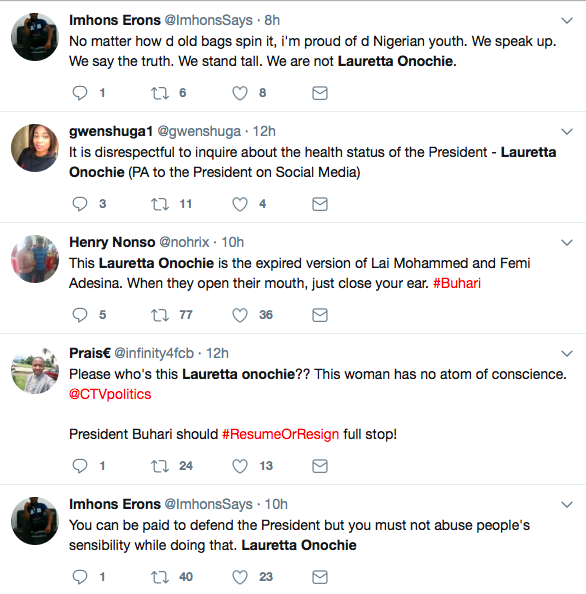 The prerogative to speak on his ailment lies only on President Buhari. If he chooses, it is a choice. It is very disrespectful and very intrusive. We are intruding into his private rights. He has rights too as a citizen of Nigeria. It is not right, not appropriate. ANybody can get sick at any particular time. 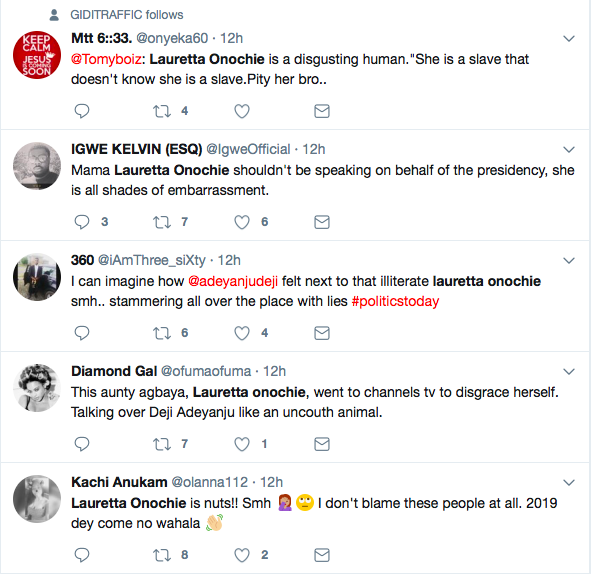 Nigerians took to Twitter to slam her after her statement, and we don't blame them at all. These people (politicians) have become a huge embarrassment to the country.